You have to give credit where credit is due. 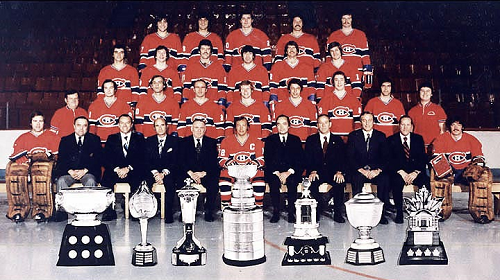 Scott Howson put together a very competitive team, at least for one season, before being replaced by Jarmo Kekalainen as the team’s general manager. That being said, if Howson wasn’t busy trading away his first-round pick he was typically drafting in the top 5. When you get to draft that high on a regular basis there is a pretty good chance you are going to select a few players who will make it into an NHL lineup. Development camp was held last week in Columbus. The prospects were brought in with the recent draft picks in an attempt to get all of them focused on their offseason training. The Blue Jackets main focus was on educating their prospects. The camp consisted of a cooking class, financial planning and a class on using social media. Even though it was a busy three days for the skaters and four days for the goaltenders, they still managed to put the prospects on the ice so that we could have a chance to see some of the talent firsthand. Ryan Murray was easily the biggest standout. Listed as 6’1″, 198-pounds, the left-handed defenseman was drafted 2nd overall in 2012. His credentials are already very impressive. In four season with the Everett Silvertips of the WHL he has played 191 games and scored 121 points. He was also the first draft-eligible player to represent Team Canada at the World Junior Championships in many years. He is the second youngest skater to play for Team Canada, the youngest was Paul Kariya. Murray had to undergo shoulder surgery last season after he received a hit and broke his fall with his shoulder, which required a six-month healing process. The injury took place during a WHL game in mid-November. He was cleared for contact a few days before development camp and took a few hits during his time on the ice. It’s more than likely that he would have received plenty of ice-time with the Blue Jackets this season if he would have been healthy. The defenseman is a strong skater and he can handle the puck very well. This kid is the most exciting prospect that the Blue Jackets have in their system. 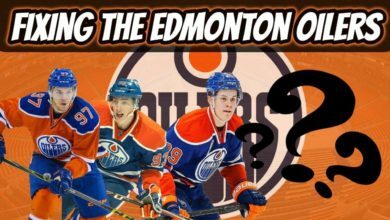 If any other team besides the Edmonton Oilers, who have drafted so much offensive talent recently that they have no idea what to do with it, had the 1st overall selection in the draft last year he probably would have been the 1st overall draft pick. Ryan Murray could be the next Erik Karlsson, or Scott Niedermayer, as the scouts say. Murray will get his chance to make the team this season after attending the upcoming training camp. 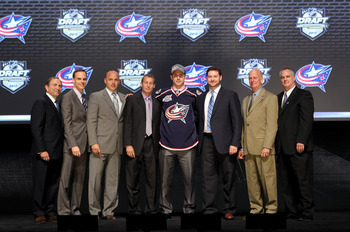 With his outgoing and friendly persona he is setup to become the face of the Columbus Blue Jackets in the future. Jenner was selected 37th overall in the 2011 Entry Draft. He was one of the oldest players at the development camp. The 20 year-old showed signs of being annoyed at that fact when it was brought up. However, when training camp begins he will be one of the youngest players on the ice. He finished tenth in the OHL with 82 points (45 g, 37 a) in 56 games last season. After his team was eliminated from the playoffs, he was called up from the Oshawa Generals of the Ontario Hockey League to finish the season in the AHL with the Springfield Falcons. His appearance in Springfield last year gave the team a boost in the playoffs. 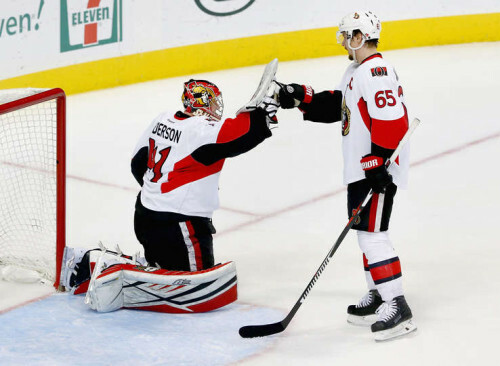 In game 4 of the 1st-round he scored a late second period goal that would pull the Falcons to within one, and would assist the game winning goal that later came in overtime. The win would clinch the best-of-five series and propel the Falcons into the Conference Semi-Finals where they would fall to the Syracuse Crunch. 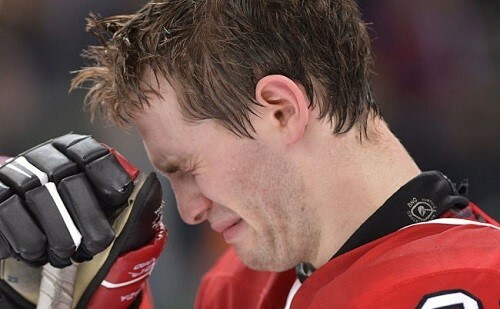 Jenner fighting back tears after Team Canada’s fourth-place finish in the World Junior Championships. Jenner is a highly adaptable and skilled player who has a bright future in the NHL to look forward to. It’s very likely that we will get to see Jenner make an appearance with the Jackets this season. 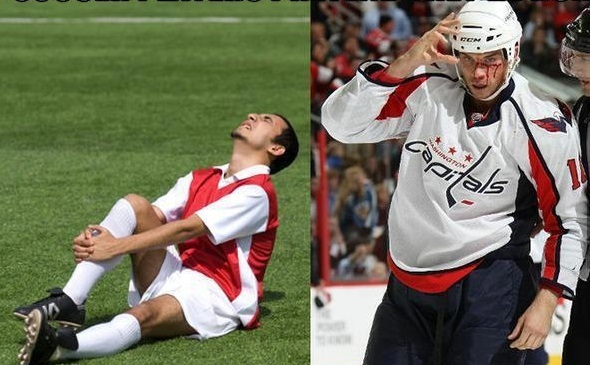 He’s also very passionate about the sport of hockey. The image of Jenner fighting back tears after Team Canada finished in 4th-place at the World Junior Championships is one of the most memorable images of the tournament. Let’s hope this kid can also score 15 goals in 15 seconds. 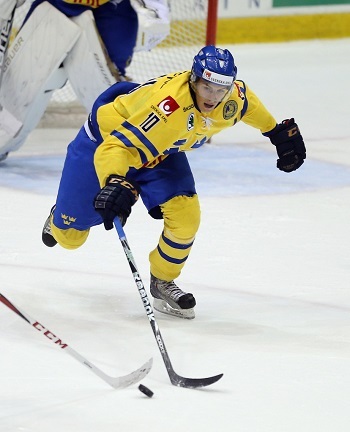 Wennberg fighting for a puck in the defensive zone at the World Junior Championships. He has two silver medals playing for Sweden at the 2013 World Junior Championship and the 2012 Under-18 World Championship. He’s been noted as being a workhorse on the ice. He isn’t a flashy player but his skill, maturity and hockey IQ make him a solid forward. He has a tendency to drive to the net and he has a quick release. It would be interesting to see him play with Nathan Horton in the future. Kerby is the son of former NHLer, Warren Rychel. Warren is part-owner and general manager of the Windsor Spitfires where his son plays. However, Kerby didn’t get a spot on that team because of his father, he deserved to be there. In the 2012-2013 season he scored 40 goals and led the Spitfires in that category. It was his second consecutive 40-goal season. He finished with 87 points and tied for 8th overall in the Ontario Hockey League. 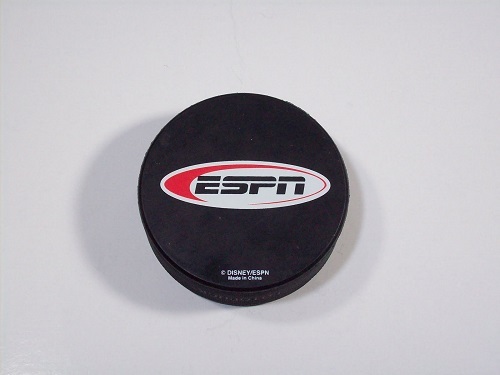 He’s a quick skater and he loves to be around the puck. He plays with aggression and when he is in a situation where he has to compete even harder, he usually excels. He can knock players off the puck and his shot and ability to pass through traffic make him very effective and he is projected to be a power forward. At 6’1″, 205-pounds many opponents have trouble knocking him off the puck or gaining space when he is on the ice. Rychel with the Spitfires. His father is part-owner and GM of the team. He was drafted 19th overall in the 2013 NHL Entry Draft. Rychel won a bronze medal with Team Canada at the 2012 U-18 Hockey Championship and tied the team lead for goals in the tournament with 5. The last of the three 1st-round draft picks that Columbus had at this year’s Entry Draft, the 5’11”, 183-pound Austrian-born center had flown under the radar at the draft this year. He’s played most of his career in the Slovakian League and has had several quiet seasons. However, he displayed his talent on the international stage at the 2013 IIHF World Junior Championship putting up 4 goals and 5 assists in 6 games for Team Slovakia. Marko Dano: Keep calm and celly hard. Early observations indicate that he is a high-intensity player who gives “110 percent” every time he is on the ice. He plays bigger than he is and likes to sit in front of the net, causing goalies to regret any loose pucks or rebounds they give up. The Swedish-born goaltender was drafted in the 7th-round in 2011 but was a standout at last year’s development camp. This year was no exception. He has good recovery skills and good rebound control. He didn’t allow very many goals to make it to the back of the net during this year’s camp. He was drafted by the Jackets from the MODO hockey team in Sweden. A team that has produced notable players such as Markus Naslund, Peter Forsberg and the Sedin twins. He’s spent his entire career in the Swedish leagues and will return for one more season, but the 20 year-old has shown enough to warrant some time in the North American hockey leagues after the upcoming season. He’s coming off of a great season in Sweden with 2.04 GAA, .933 SV% and 3 shutouts in 33 games played. I’ve covered most of the notable prospects in this report but their is one surprise that came out of the development camp, Peter Quenneville. The young center is a second cousin to the head coach of the Chicago Blackhawks, Joel Quenneville and is the nephew of Bruins defenseman, Johnny Boychuck, through marriage. There is very little information on Peter outside of his hockey relations but he is committed to attend Quinnipiac University in the fall of 2013. Peter Quenneville (white) sprints down the ice in USHL play. The notice he attracted at the camp was around his ability to snipe from several feet out. Let’s hope he was the steal of the draft at 195th overall. That wraps up my report on the most notable prospects heading into next season. I fully expect to see Ryan Murray and Boone Jenner play for the Blue Jackets next season. The three 1st-round draft picks the team has acquired will probably see some ice-time but I doubt it will be anything significant. However, it would be a breath of fresh air to see one of these three players make an impact with the team next season. 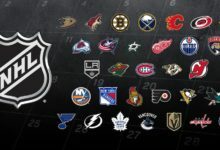 Since new acquisition Nathan Horton will not be joining the lineup until December there is a good chance that they will get a chance to showcase themselves in the best league in the world until his debut.